Browse our sample Brazil tours below. A truly fascinating place gifted with dozens of diverse pleasures, a tour of Brazil should be near the top of every traveler’s to-do list. There are almost too many experiences to pack into a single Brazil trip: the visual frenzy of Carnaval in Rio de Janeiro, the heart-stopping roar of mighty Foz do Iguaçu, and the massive Pantanal wetlands that teem wit ...h wildlife, to name but a very few. A private guide can help you navigate Brazil’s big cities and captivating wildlands, and a custom itinerary crafted just for you by a skilled Destination Expert can ensure that you don’t miss a thing. Kensington’s award-winning team can deliver exactly what you are looking for – a luxury experience through and through, culture mixed with nature, an Amazon adventure or a little bit of everything. Get in touch today and start dreaming up a tailor-made tour you’ll remember forever. Gorgeous beaches, incredible mountaintop views, thriving nightlife that spills over into the next morning and more await on this exciting privately guided discovery of rejuvenated Rio de Janeiro, Brazil’s cosmopolitan urban treasure. Three things come to mind when one conjures an image of Brazil; the adrenaline pulse of world-famous coastal cities, thundering natural wonders, and small estuaries cutting their way through dense tropical forest. On this trip you will see the true highlights of Rio, Iguassu Falls, and the Amazon jungle. See the best of Peru and Brazil on this mesmerizing adventure to Machu Picchu, awe-inspiring Iguazu Falls, and dazzling Rio de Janiero. Experience Brazil in style, with a luxurious spin on this sun-soaked destination. A private guide will lead you through revitalized Rio de Janeiro, home of the 2016 Summer Games, as well as the thundering Iguazu Falls. Afterward, relax with a soothing ocean breeze on the sandy shores of stylish Buzios. Experience the very best of Brazil, from Rio’s sun-drenched beaches and busy nighttime streets to the thundering cascades of Iguaçú Falls, on a marvelous journey that touches colonial Paraty and bustling São Paulo. Get closer to the exotic wildlife of Brazil than you ever imagined on this comprehensive tour of its big cities and sprawling natural spaces. Go deep into the Pantanal wetlands, meet tamarins at a conservation project, view Iguaçú Falls by helicopter and more. Explore untouched stretches of the Amazon similar to what Explorers Club alumnus Theodore Roosevelt saw on his 1913 expedition. An exciting, in-depth cruise with skilled naturalist guides. 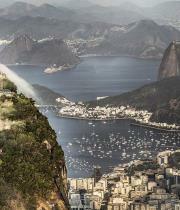 Enjoy the views from the Christ the Redeemer statue. 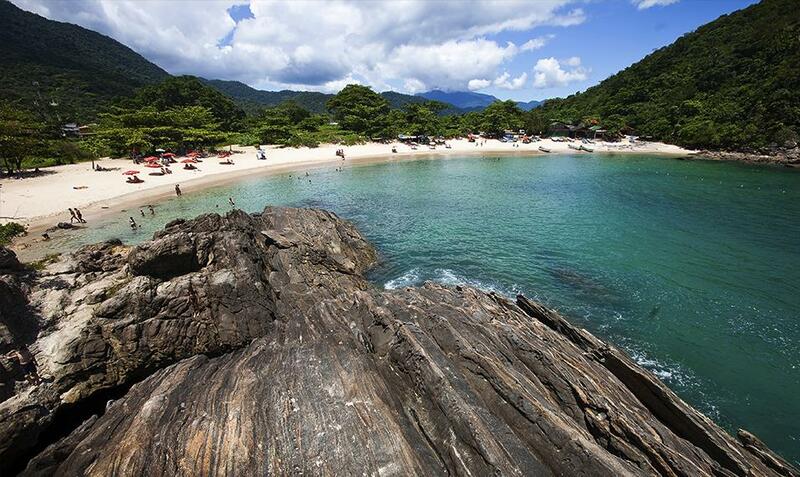 Soak up the sun on the beaches of Paraty. Head into the realm of the Amazon and come face to face with unique wildlife. 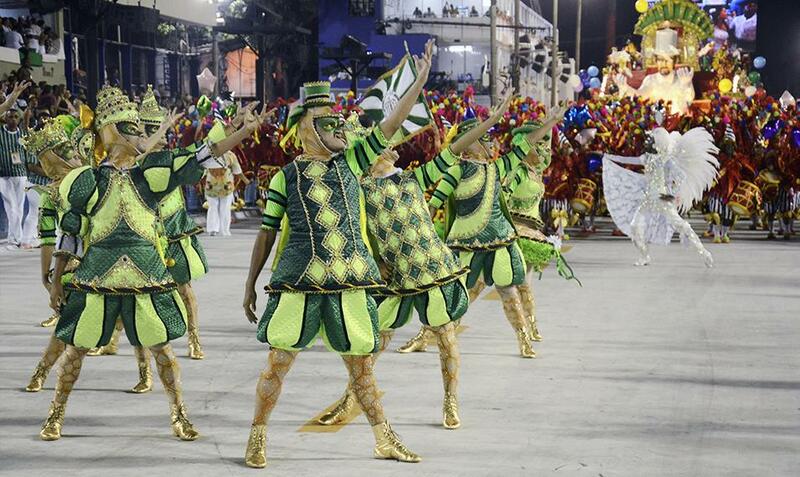 Enjoy the winner's parade at Rio's Carnival. Take in the beauty of the Brazilian side of Iguazu Falls. When you travel to Brazil, the first thing you realize is just how alive the nation is. The Amazon is bursting with unique flora and fauna, the culture everywhere is vibrant and the city of Rio de Janeiro is at once welcoming and dynamic. Luxury tours to Brazil show just how full the country is of exciting experiences, one-of-a-kind views and engaging people. In the middle of the 19th century, a Vincentian priest, Pedro Maria Boss, had an idea. He thought that a Christian monument, placed on Corcovado Mountain, would be not just a powerful symbol of the country’s strong religious heritage, but also a great honor to Princess Isabel, daughter of the Emperor. It took nearly 80 years for his vision to be realized, but in 1931, it was finally accomplished. A Brazilian engineer, Heitor de Silva Costa, along with a French sculptor, Paul Landowski, turned Pedro’s idea into a reality, in the form of Christ the Redeemer. 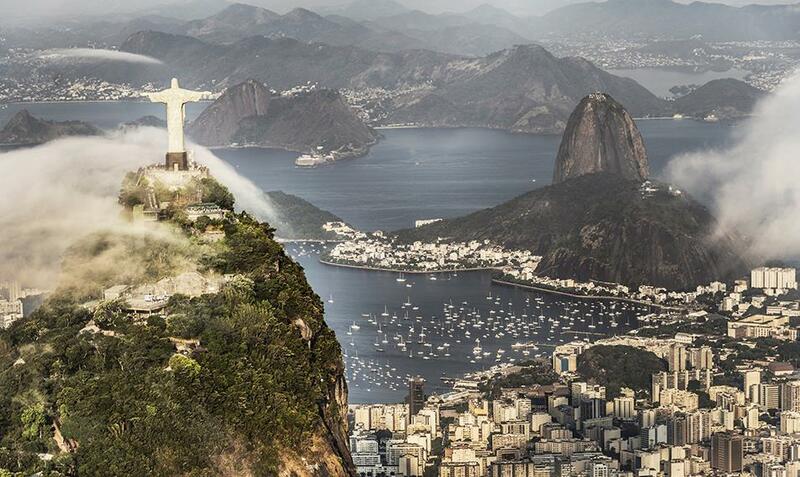 The Rio de Janeiro statue sits atop Corcovado Mountain, as originally intended, standing nearly 100 feet tall with arms spread more than 90 feet wide. The beauty of the structure, combined with the engineering ingenuity required to build it, has led it to be honored as one of the New Seven Wonders of the World. Today, visitors flock to the landmark, which is not only an attraction in its own right, but is also surrounded by gorgeous views of Rio de Janeiro. Interested in checking out Brazil waterfalls? 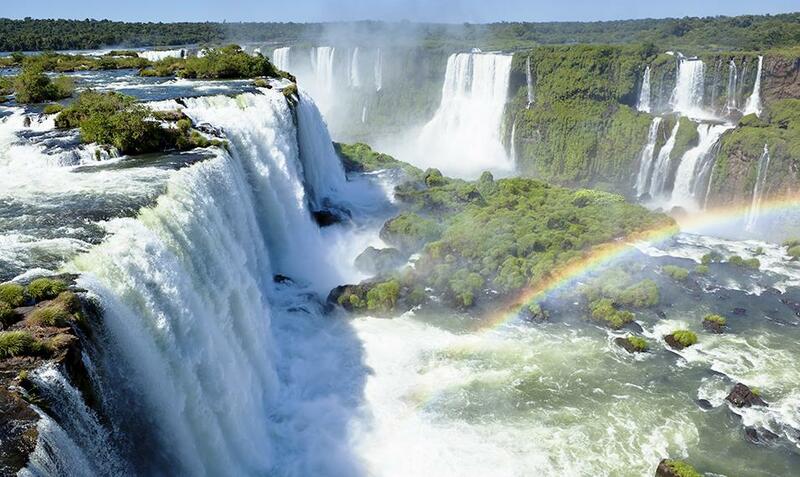 Look no further than Iguacu National Park, designated a UNESCO world heritage site in 1987. Along with Iguazu National Park in Argentina, it shares the Iguazu River, which creates approximately 275 waterfalls and distinct islands. 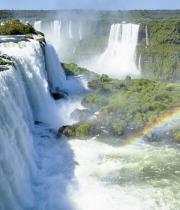 Iguazu has the sixth-greatest average annual flow of any waterfall, 1,746 cubic meters. At its highest point, it is 269 feet tall, and has a total width of 1.7 miles. As it is in a tropical area, it is also recommended for those who wish to see rare wildlife, including spotted jaguars, prego monkeys, coral snakes and toucans. For an added thrill, visitors are well-advised to journey into the long and narrow chasm called Garganta del Diablo, or, in English, the Devil’s Throat. Roughly half the of flow from the Iguazu River empties into the long, narrow chasm, creating a U-shaped rush of water that is as exhilarating as it is scenic. What would a trip to Brazil be without getting into the water? The beaches of Brazil are world-renowned for their clear waters and pristine sand. 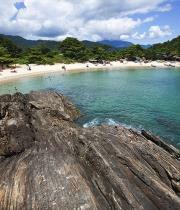 For one of the best beaches, look no further than Paraty. As it is just a three-hour drive from the city, it makes the perfect day trip from Rio de Janeiro, an opportunity to slip out from the hubbub and get in some relaxation. The town of Paraty, where the beach is located, is a small fishing village with a big cultural impact. Historically a producer of sugar cane, the area today stands as a testament to beautifully-preserved architecture, charming cafes and rustic cobblestone streets. In fact, so wonderful was the preservation that the whole town has been designated a UNESCO cultural site. The beach itself has a hip, buzzy bar vibe, filled with laid-back people who want nothing more than tranquility and goodwill. Sail out to a few of the islands for truly great snorkeling, diving and sightseeing. 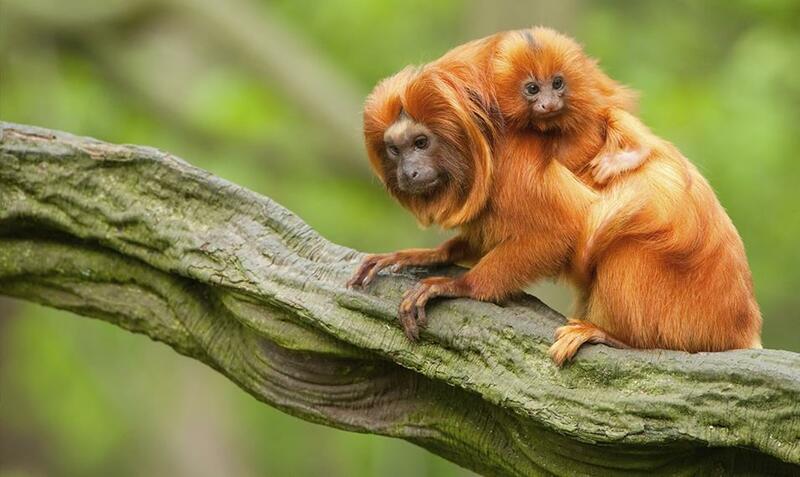 There is no parallel for the biodiversity on display in the Amazon rainforest. As a whole, wet tropical forests are the species-rich of all biomes, and as the largest such tract in the Americas, the Amazon jungle has a range of creatures that have to be seen to be believed. The Amazon is the largest grouping of flora and fauna in the entire world. In fact, 10 percent of all species lives in this forest, including 427 kinds of mammals, 428 amphibians, 378 reptiles and an astonishing 2.5 million unique insect varieties. The Amazon River, which winds its way through the forest, is home to more than 2,000 different kinds of fish, with one in every five extant species of fish represented. 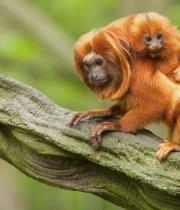 The Amazon is home to a number of unusual creatures that can be found in few other places. For example, visitors can marvel at the Fishing Bat, the only bat in the entire world with the ability to fish for its food, or the Jesus Lizard, which can scamper away from predators by walking along the surface of a pond or stream. 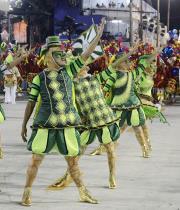 More than anything, Brazil Carnival is a celebration of togetherness and goodwill. Perhaps the best example of that spirit is the Winner’s Parade, which happens on the Saturday following the main event. Every year, the best samba school, along with five runners-up, get to take part in a special Carnival-related celebration. Since there is no longer a competition, those in this parade are free to have fun with their dancing, showcasing a good humor and lightness that represents the heart of the dance. Anybody who is interested in learning what it really means to samba would be well-advised to make the trip, as it is one of the most natural, organic and free-spirited exhibitions anywhere in the world. American and Canadian citizens must have a passport that is valid for at least 6 months beyond the intended return date in order to enter and depart Brazil.Tourists must also provide proof of return or onward travel. Each traveler is responsible for ensuring that his/her passport is up to date. Citizens of other nationalities should check with respective authorities before departure. Please ensure that the name on your passport matches all travel documents we have issued. If this is not the case, please contact us immediately. A passport and visa are required for both Canadian and U.S. citizens traveling to Brazil for any purpose. Brazilian visas MUST be obtained in advance from the Brazilian Embassy or consulate nearest to the traveler's place of residence. There are no "airport visas" and immigration authorities will refuse entry to Brazil to anyone not possessing a valid visa. Processing generally takes 10-15 working days along with a visa processing fee of approximately $106.25. All Brazilian visas, regardless of the length of validity, must initially be used within 90 days of the issuance date or will no longer be valid. Americans re-entering Brazil must be able to show an entry stamp in their passport proving that the visa was issued within 90 days; otherwise they will not be allowed re-entry. Immigration authorities will not allow entry into Brazil without a valid visa. The U.S. Government cannot assist travelers who arrive in Brazil without proper documentation. For remote, jungle or Amazon a Yellow Fever Certificate is required. No vaccinations are currently required to enter Brazil, although it is strongly recommended to vaccinate against Malaria and Yellow Fever if visiting rural areas. Brazil is a huge country with a variety different climate zones. Coastal regions can reach extremely hot temperatures, while plateau cities tend to have a much milder climate. South of Rio experiences much more defined seasons with a wide range of temperatures. The Amazonia regions can get more than 78 inches of rain every year, while the rest of the country has an average rainfall of between 39 – 59 inches per year, with most rain occurring between December and April. Electricity: Brasília and Recife, 220 volts AC; Rio de Janeiro and São Paulo, 127 volts AC or 220 volts in larger hotels. Plugs are of the two-pin type and three-pin type. Most hotels provide 110-volt and 220-volt outlets, transformers and adaptors.